The news was updated on January 8, 2019. Cizhong Church was built by French missionaries in 1867. Today after more than one hundred years, it still shines with the light of civilization, attracting people’s attention. 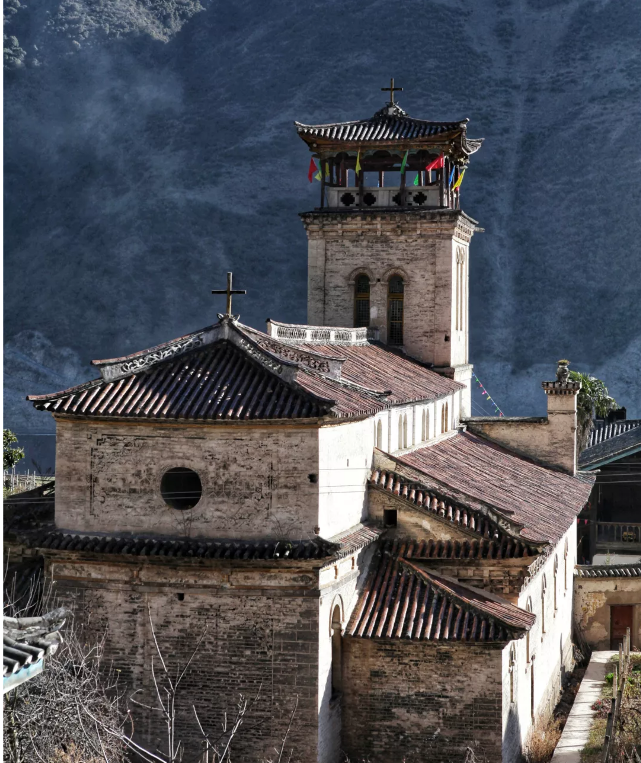 Cizhong Church is located in Cizhong Village of Yanmen Township of Deqin County. Uniquely combining with natural landscape, the church has mountain on its back and is decorated with farmhouses in front. In spring and autumn, flowers bloom and fruits are ripe in the mountains around the church. When midsummer comes, it is breezy and refreshing in the valley. 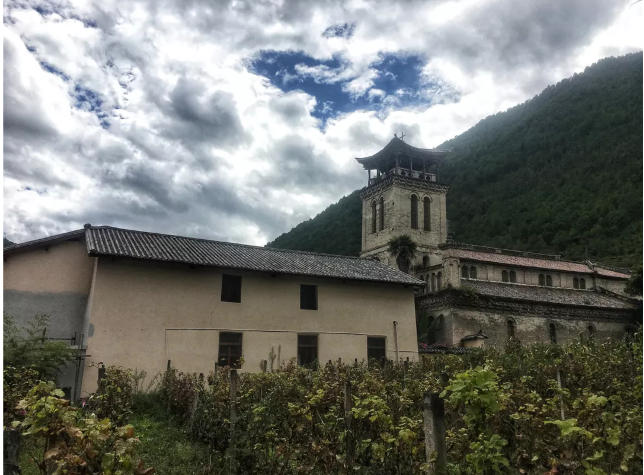 Over one hundred years, Cizhong Church has retained its original architectural pattern. Built in the shape of a cross, it is sitting west to east. The church has an arched stone porch with three bell towers on its top. Climbing onto the tower and looking around, you can get a full view of the village, fields in the Lancang River valley and the surrounding natural scenery. 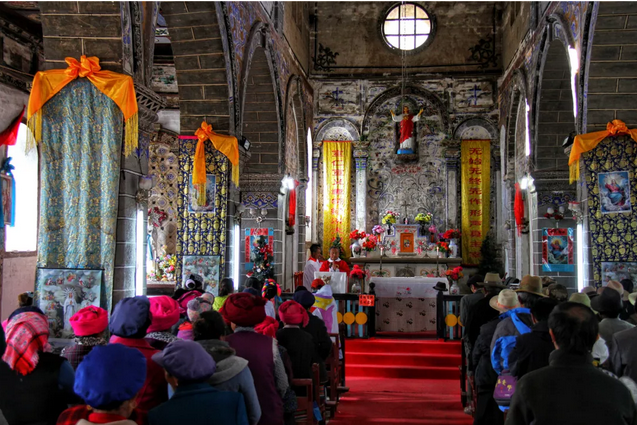 As Cilinongbu, a staff member of Deqin County Cultural Relics Management Subdivision, explained, Cizhong Church is in brick-and-stone structure with Chinese and Western styles. Its overall style shows a typical Western arch style. 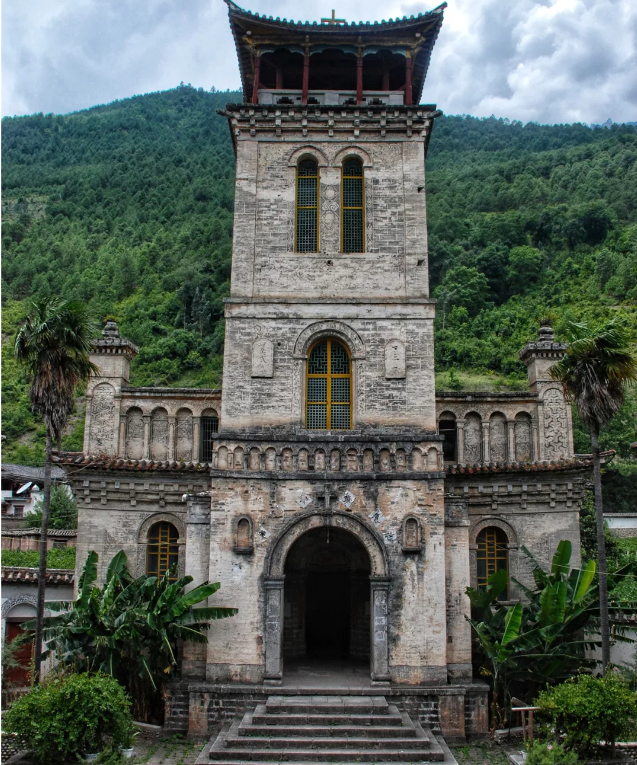 The upper part of the bell tower is a Chinese four-cornered and cusp pavilion, and its decoration has distinct Catholic characteristics. The walls and ceilings are also painted with exquisite patterns of Han, Tibetan and Bai ethnic styles. “So the church is an ingenious combination of Western and Chinese architecture styles,” Culinongbu said.